The Southwest Dream Team is thrilled to be celebrating 10 years of work towards the betterment of communities in south and southwest Louisville. Currently undergoing a strategic planning process, the SWDT looks forward to introducing new initiatives in 2018. Please sign up to receive our newsletter to stay updated on our progress! 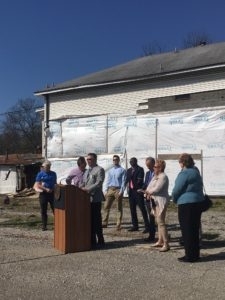 The Southwest Dream Team is proud to support the work of other organizations to help make positive changes to the communities of south and southwest Louisville. The Southwest Dream Team is proud to support several different strategic plans for the development of south and southwest Louisville.